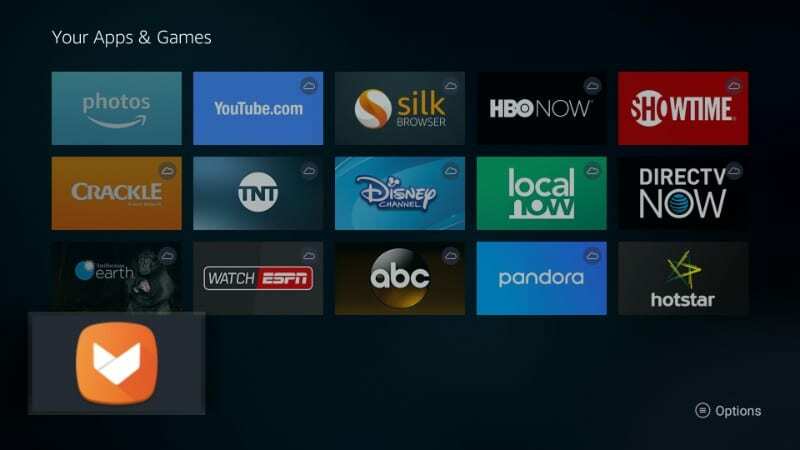 In this guide, I am going to talk to you about getting Google Play on FireStick and Fire TV devices. Google Play Store is the most widely used app repository with thousands of apps, games, and utilities. The huge collection of apps and the ease of use are its biggest draws. But, Play Store is not available on all the Android platforms. For instance, Amazon FireStick and Fire TV devices have Amazon Store and they do not support Play Store. Sadly, Amazon’s app inventory isn’t as large and that’s why FireStick users often go seeking other options. Play Store isn’t officially available on these Amazon devices. So, is there a way to side-load it? The answer is Yes! However, here, I am going to tell you about something which is way better than Google Play on FireStick. 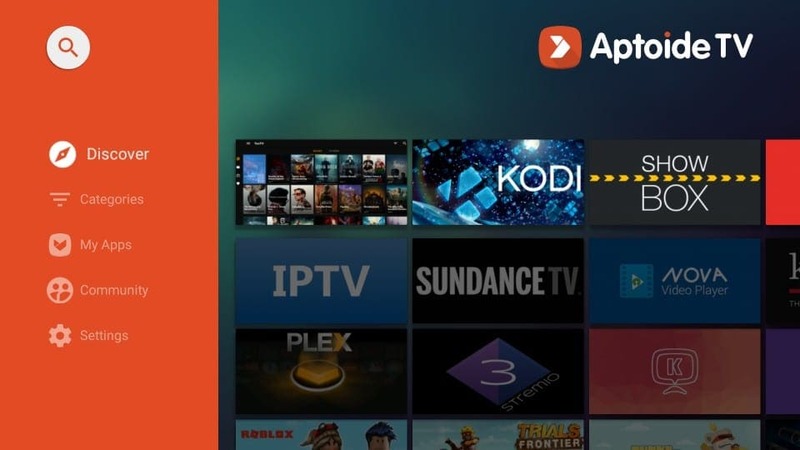 In this guide, I will introduce you to the third-party app store called Aptoide TV, which is the best Play Store alternative and optimized for Fire device platforms. The process to sideload Play Store on FireStick is tedious, long-winding, prone to glitches and often does not work. You would have spent an hour and a half to no avail. I don’t want to waste your time. You can get everything from Aptoide that you can from Google Play and even more. Aptoide TV works error-free on FireStick for the most part. It also has a decent collection of apps for FireStick that you will ever need. 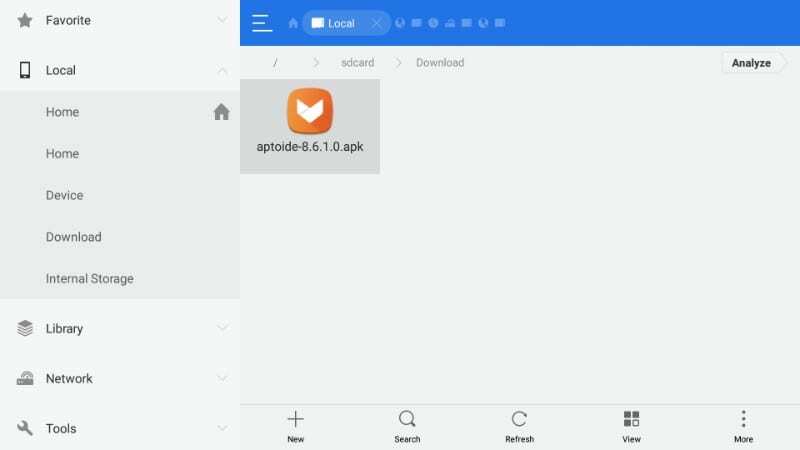 So, let us now learn how to install and use Aptoide app store. Before we proceed, there is one important matter I would like to draw your attention to. Privacy is a huge concern in the World Wide Web landscape. You are probably being watched and tracked by hackers and identity stealers and even your own government and ISP. Therefore, it makes a lot of sense to find a way to stay anonymous and maintain your privacy in the digital span of the internet. Get yourself a VPN now and enjoy the peace of mind. VPN encrypts all the traffic from your devices and offers complete anonymity. VPN also ensures you do not become the victim of Internet throttling, a practice rapidly becoming more prevalent by day. 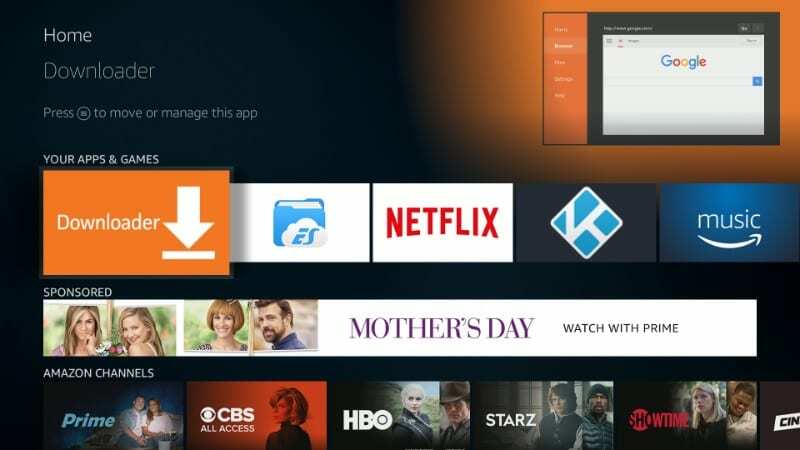 Aptoide, the most promising alternative of Google Play on FireStick, is a third-party app store and no surprise that it isn’t hosted on Amazon Store. Since we are going to get the app from outside the official store, we will have to instruct FireStick to allow the installation. The Apps from Unknown Sources option is disabled by default. Step 4: When you see the following prompt, ignore the warning and press ‘Turn on’. It is true that some third-party apps can cause harm to your device. But, apps like Aptoide are highly reputed and completely safe. There is no need to worry. 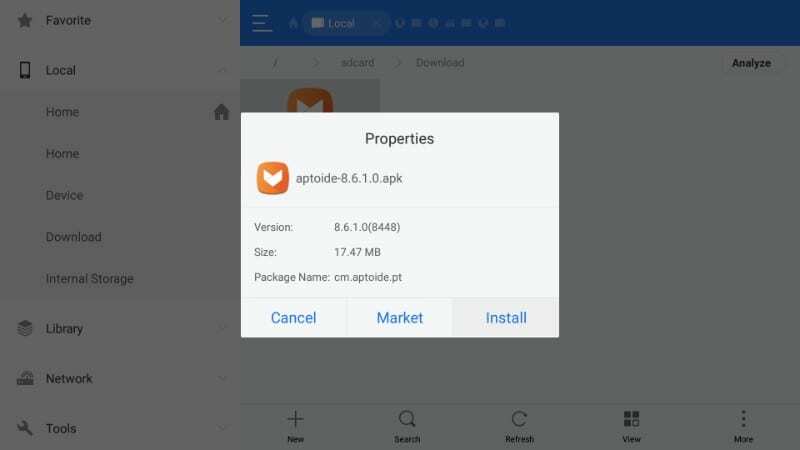 Now you are set to install Aptoide (or for that matter any third-party app) onto your device. Why two apps, you may ask. 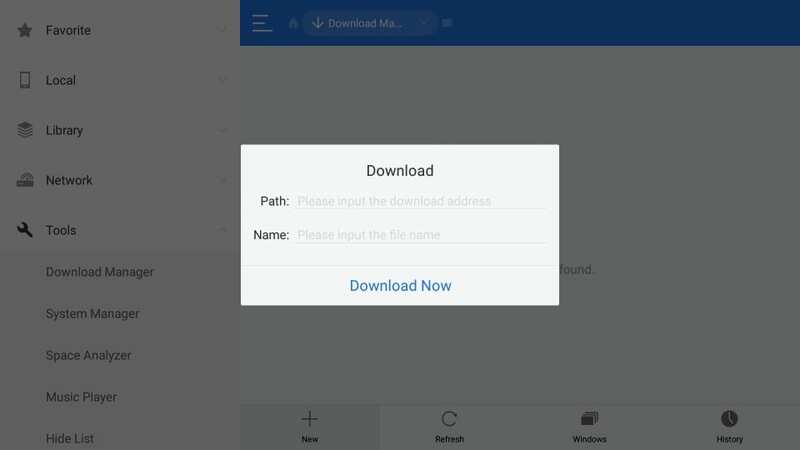 Downloader is the most popularly used app to sideload the third-party apps on Fire Stick. But, the app is not available everywhere on Amazon Store and has to be side-loaded for a few regions. 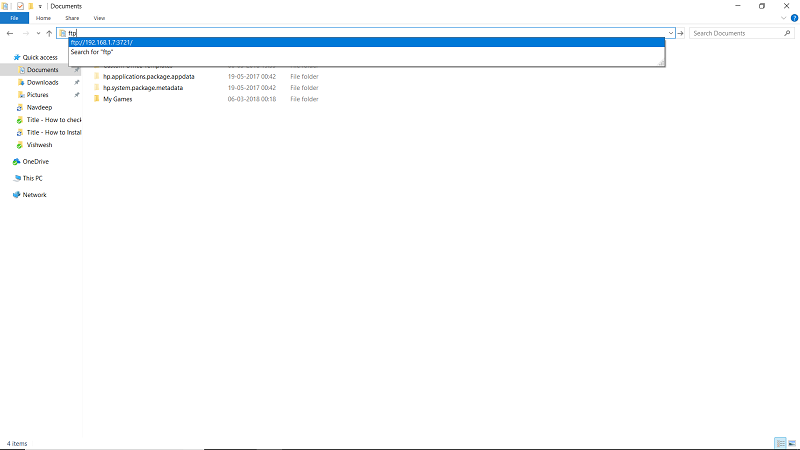 On the other hand, ES File Explorer can be downloaded from Amazon Store regardless of your country or region. The first thing you need to do is get the Downloader app if you don’t have it already. You will find it in Amazon Store, and if you don’t, check out how to install Downloader. 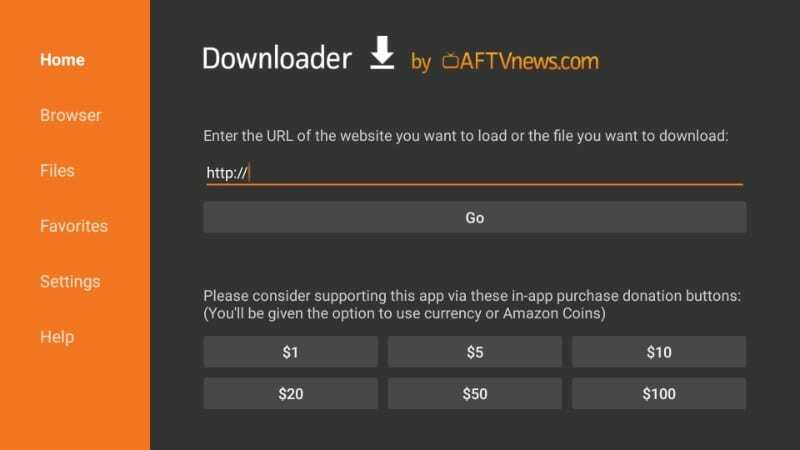 Once you have installed the Downloader app, here is how you can use it to install Aptoide on Fire Stick or Fire TV. Step 1: Run the Downloader app from the Fire Stick home screen (if you have moved the app icon here). If you can’t see the app on the home screen, hold down the Home button on the remote and select ‘Apps’. You will see the list of all your apps. Scroll down to Downloader and run it. Step 3: You will see the cursor blinking in the URL field. Press ‘Select’ button on your remote to bring up the onscreen keypad. 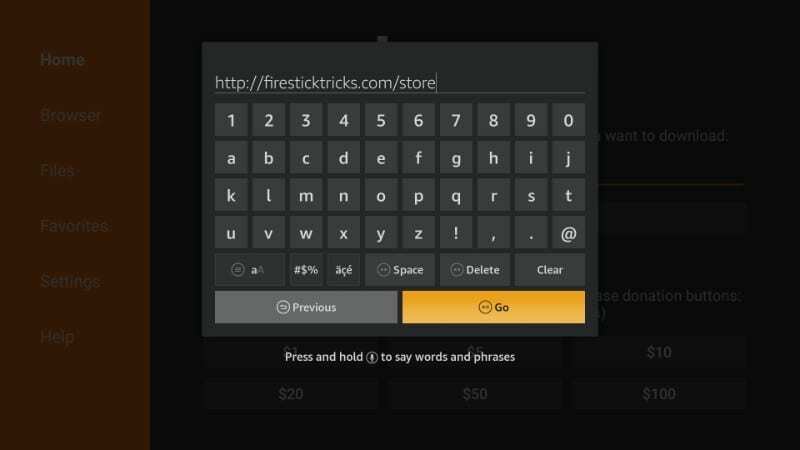 Enter the URL https://www.firesticktricks.com/store and press the ‘Go’ button on the keypad (or the Play button on your remote). Look at the image below. This is the link to get Aptoide, alternative to Google Play on FireStick. Step 5: Once the download is complete, you will see the following screen. Keep pressing the down button on your remote until ‘Next’ button on the bottom right changes to ‘Install’; and then highlight the ‘Install’ button and click it. Step 6: The installation progress screen will thus appear. 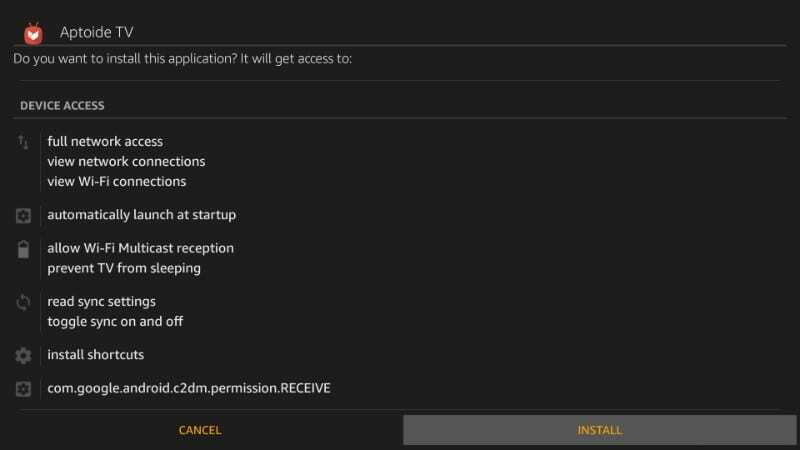 Once the installation is complete, you will get the ‘App installed’ notification along with the ‘Done’ and ‘Open’ buttons. Step 8: You will now see the following dialogue box. Don’t need to click the ‘Install’ button as the app is already installed. Instead, click the ‘Delete’ button to remove the APK file. We don’t need it any longer and it will take the storage space unnecessarily. That’s it! You have successfully installed Aptoide app, a Google Play alternative on FireStick. 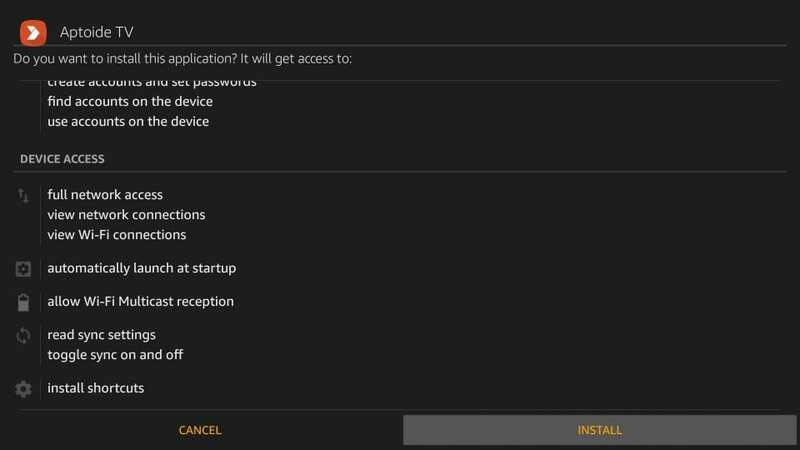 If you can’t get Downloader or don’t want to sideload it, or simply prefer ES File Explorer better, I will show you how to use the latter to install Aptoide app on Fire TV Stick. 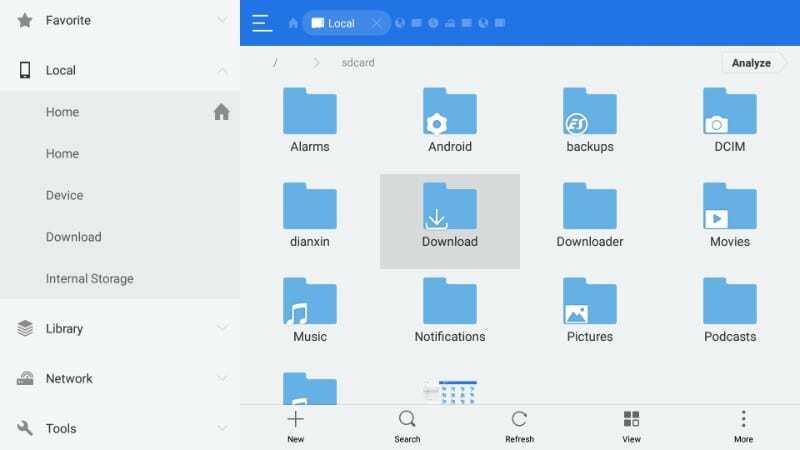 ES File Explorer is also extensively popular and as I have already said, it is more widely available than Downloader, therefore, it only makes sense to include this method. 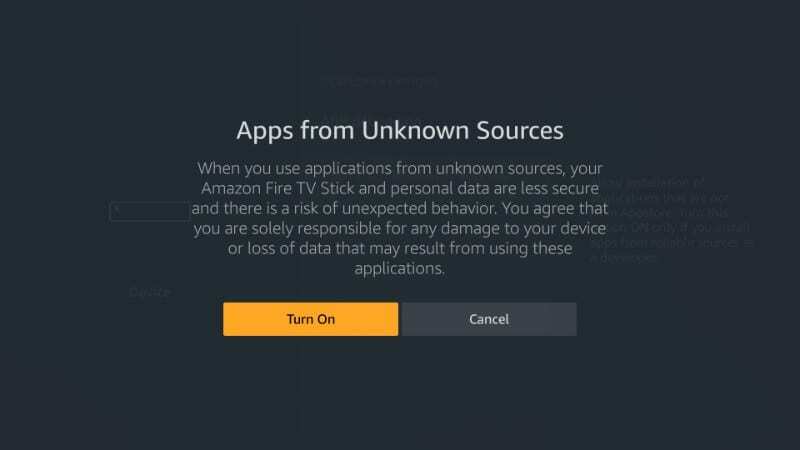 There are two ways to install Google Play on Fire Stick alternative, one with the computer and the other without. The method without the computer is easier and quicker. We will talk about this method first. 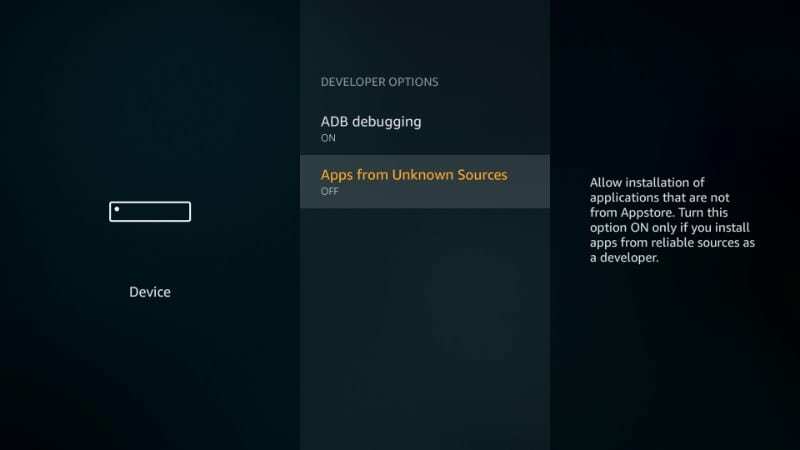 In case you happen to have downloaded the Aptoide APK on your computer, you may want to look at the second method later. Here comes the ES Explorer method that does not require any computer. Step 3: In the Path field enter the URL https://firesticktricks.com/store. In the Name section, enter any name you want but make it relevant to the app we are installed. I gave it the name Aptoide TV as is the name of the app I am installing. Once downloaded, click ‘Open file’ button to run the APK file. This will start the installation process. That will be all! Now, let’s see how to install Google Play on FireStick substitute app, Aptoide using ES File Explorer and computer. You will need a computer. Windows, Mac, or Linux – any will do! 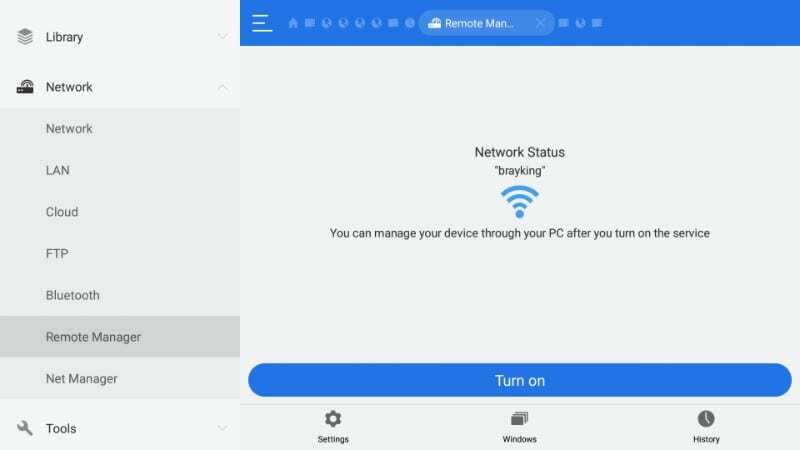 And, make sure that your computer and FireStick are both connected to the same Wi-Fi network. 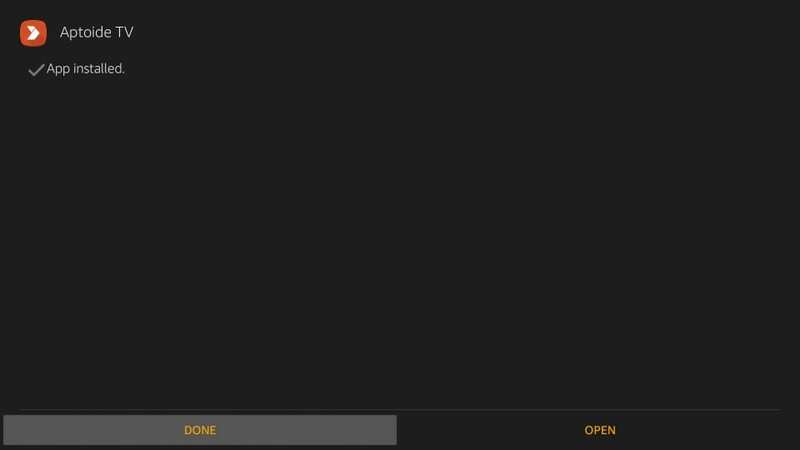 On FireStick: Now, get the ES File Explorer app from the Amazon Store on your FireStick device. 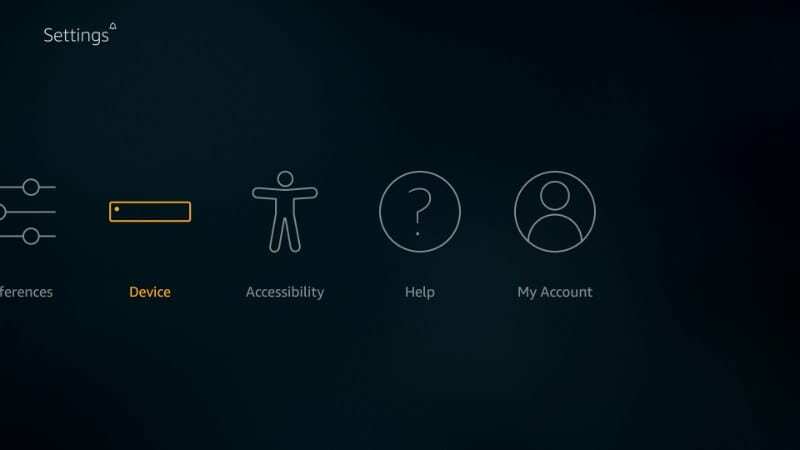 Just select the Search option on the top left of the Fire Stick home screen, look up for ES File Explorer and follow the simple onscreen instructions to install it. 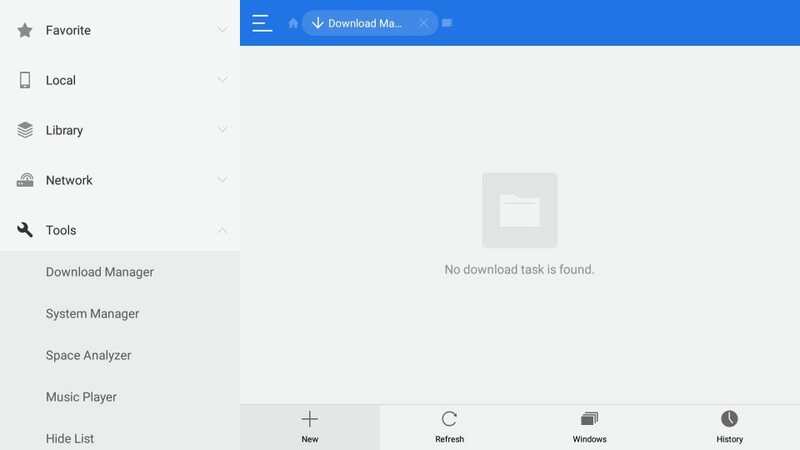 Step 3: On Your Computer: Now return to your computer and open any folder. 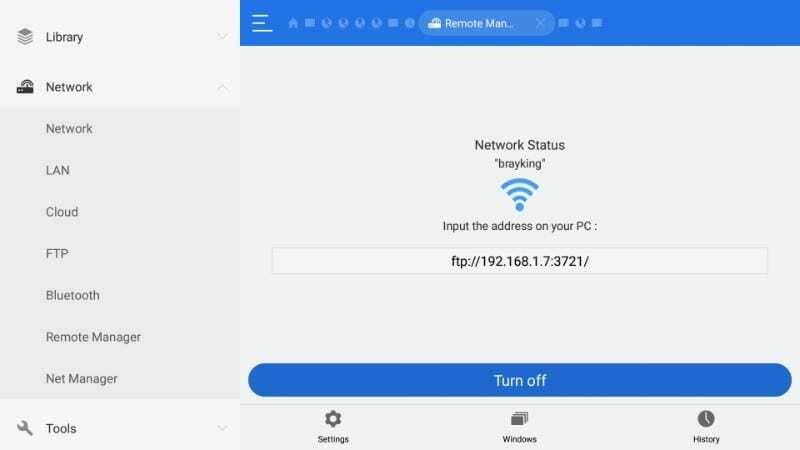 Type the FTP address of your Fire TV Stick that you see on ES Explorer screen in the address bar of the folder window on your computer and press Enter. 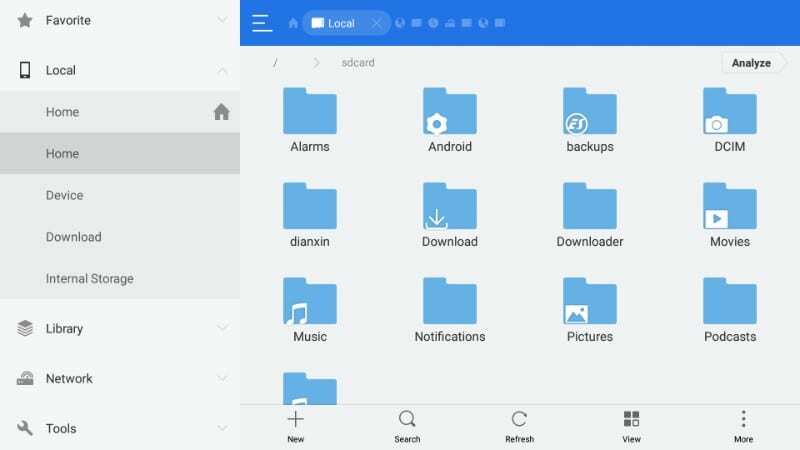 It will open the ES File Explorer contents on your PC. The image below has been captured on Windows 10. But, this will work just as well on your Mac and Linux. 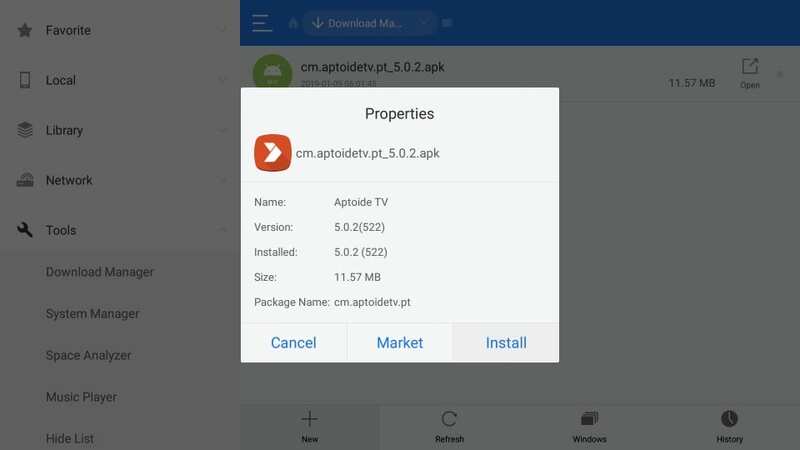 Step 4: Now, copy the Aptoide APK for Fire Stick that you downloaded earlier on your computer. And paste it into any ES File Explorer folder that you opened with FTP address in the previous step. You may even create a new folder if needed. I always choose the ‘Download’ folder to copy the APK file from my computer. Somehow, it makes more sense to me. But, that’s just me! The choice is all yours! Step 5: On FireStick: Go back to FireStick and open ES File Explorer if it is not already. Navigate to ‘Local’ menu on the left and expand it. Select the second Home option (not the one with the home image). See the image below for more clarity. Step 9: Now business as usual! Navigate to the bottom of the next screen and click ‘Install’ on the bottom right to confirm your action and install the app. Step 10: When the app is installed, this is what you see like before. If you want to launch Aptoide TV right away, click ‘OPEN’ or else hit ‘DONE’ to open it later. 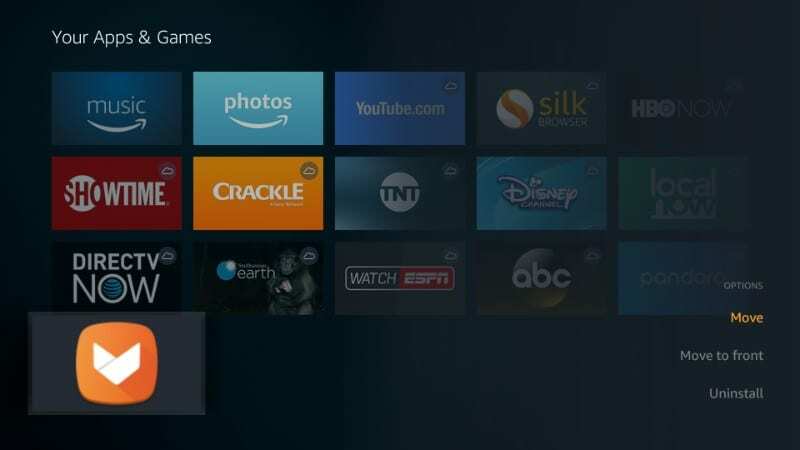 You have installed the alternative of Google Play on Fire TV without root. Now, go ahead and run it! That’s cool! But, the recently installed apps do not show up on the home screen and in the Apps list, they are at the bottom. You would like to move the frequently used apps to the top instead of quick access. As you can see, Apptoide is right at the bottom of the list. But, you can move it up easily. Scroll down and select Aptoide. Keep pressing the ‘Up’ direction button on your remote until the Aptoide app is in the top row. Now press the ‘Select’ button to drop Aptoide app icon in the top row. 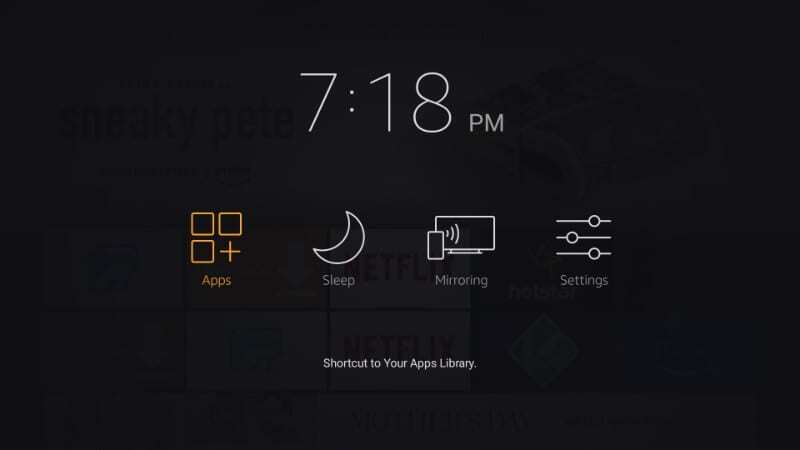 Return to the FireStick home screen and you will find the Aptoide icon right there! Now, this is how the Aptoide Home Screen looks like. Everything else is pretty much straightforward. You can look up for any app using the ‘Search’ function on the top left. Go ahead and explore Aptoide and download all the apps you need. So, here is how we download the alternative to Google Play on FireStick. Even though there is a workaround to download Play Store on your Fire devices, it is long-drawn and does not work for the most part. I have tried it myself plenty of times and have often been left frustrated. I see no point in trying this hard to get Google Play on FireStick when I can get all the best apps for FireStick I would ever need from Aptoide. Furthermore, Play Store isn’t designed and optimized to work on Fire Stick platform. Even, most of its apps will not work. Get Aptoide and sidestep all the hassles. What is a parse error? Getting on new version fire stick. hi dear, on aptoide; 9now au, tvnz and three now nz apps are not supported. Is any other way to upload and stream these apps on firetvstick? i installed showbox but now it just keeps buffering when I select a movie. Any suggestions? Can you show a video/guide accessing Google Playstore??? I want to download TFC: Philippine TV app from there. Does this work on a RCA Laptop? Hi Connor, RCA laptops come with both Android and Windows. If you are using the one with the Android, you can install Aptoide easily. I want to watch live TV steaming ABC, NBC, CBS on my FireTV device. Can I download Hulu app from Amazon? 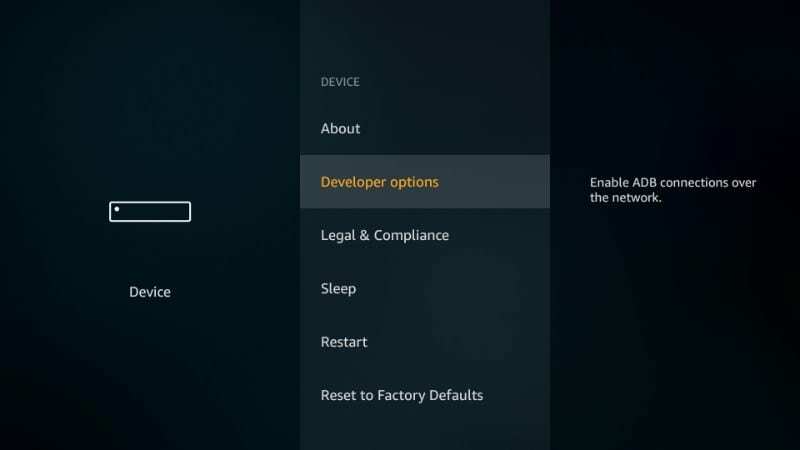 If so, what are the steps in Aptoide. I can do this with Google Play, but I’d prefer to use an alternative app. Thanks very much. Hi Lynn, you can download Hulu directly from the Amazon Store. Select the search option in the top-left corner of the FireStick home-screen and look up for Hulu. Google Play Store is not supported on Amazon FireStick. Aptoide is a third-party, unofficial app and an alternative to Google Play Store on FireStick devices. You may install Hulu from Aptoide as well, but I recommend getting it from Amazon Store. Sorry to peat but I’m not seeing confirmation that my comments are being submitted…Doesn’t work on my Mac (Sierra). Can open a folder but has no field to type the FTP address. 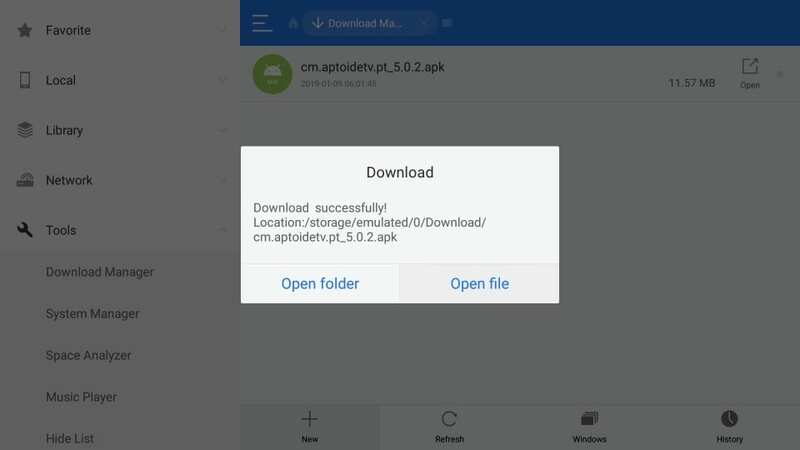 I get a directory when typing the FTP in a browser – but dragging the Aptoide apk there only acts to “download” it again. ?? Tried “Go to folder” in Finder but Go button only flashes when clicked. How do I control the cursor on show box, the remote got the firestick is of no use. Hi Stephen, thank you for the suggestion. We will come up with a video on it soon. 1.1 Are You Concerned about Your Online Privacy?